It has been over twenty years since God started me on a journey of learning as I began a lifestyle of crossing cultures within my ministry and daily life. Initially much of this was directly related to my role as a campus missionary with Cru. But, over time, my appreciation for those from different cultural backgrounds has grown to the degree where I have a high value of regularly interacting with those whose cultural values are different than my own. Part of this journey has also involved learning about what it means to be part of multi-cultural teams and to live in multi-ethnic community. I have had the privilege of being on multi-ethnic teams where I have been both in the minority and in the majority. I have also enjoyed the opportunity to be led -- both spiritually and vocationally -- by those that are of a different ethnic background than me. In addition to the many ways I've benefited personally and learned from friends and colleagues over these past two decades, I have also found a number of books that have helped put words to the feelings I have experienced. These authors have assisted me in the process of learning more about myself and others and helped in answering questions that had me perplexed. "Soong-Chan Rah's book is intended to equip evangelicals for ministry and outreach in our changing nation. 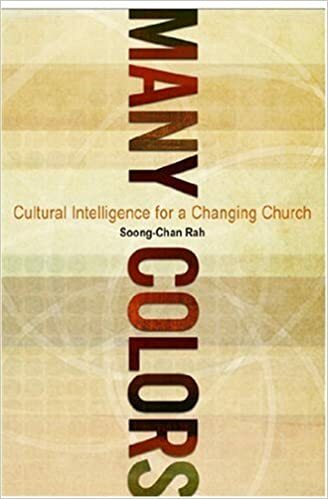 Borrowing from the business concept of "cultural intelligence," he explores how God's people can become more multiculturally adept. 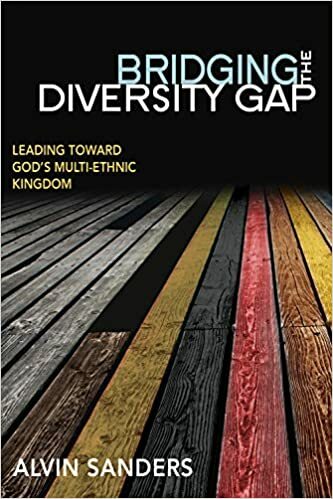 From discussions about cultural and racial histories, to reviews of case-study churches and Christian groups that are succeeding in bridging ethnic divides, Rah provides a practical and hopeful guidebook for Christians wanting to minister more effectively in diverse settings." "This groundbreaking work explores how certain cultures consciously and unconsciously dominate in multicultural situations and what can be done about it." "Through a nationwide telephone survey of 2,000 people and an additional 200 face-to-face interviews, Michael O. Emerson and Christian Smith probed the grassroots of white evangelical America. They found that despite recent efforts by the movement's leaders to address the problem of racial discrimination, evangelicals themselves seem to be preserving America's racial chasm. In fact, most white evangelicals see no systematic discrimination against blacks. But the authors contend that it is not active racism that prevents evangelicals from recognizing ongoing problems in American society. Instead, it is the evangelical movement's emphasis on individualism, free will, and personal relationships that makes invisible the pervasive injustice that perpetuates racial inequality." "Despite Jesus' prayer that all Christians "be one," divisions have been epidemic in the body of Christ from the beginning to the present. We cluster in theological groups, gender groups, age groups, ethnic groups, educational and economic groups. We criticize freely those who disagree with us, don't look like us, don't act like us and don't even like what we like. Though we may think we know why this happens, we probably don't. In this eye-opening book, learn the hidden reasons behind conflict and divisions." "Though our Christian experience is often blandly monochromatic, God intends for us to live in dynamic, multihued communities that embody his vibrant creativity. Randy Woodley, a Keetowah Cherokee, casts a biblical, multiethnic vision for people of every nation, tribe and tongue. 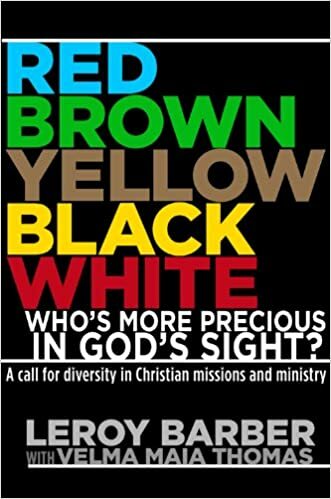 He carefully unpacks how Christians should think about racial and cultural identity, demonstrating that ethnically diverse communities have always been God's intent for his people. 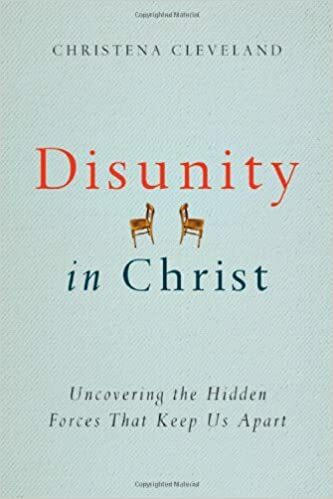 Woodley gives practical insights for how we can relate to one another with sensitivity, contextualize the gospel, combat the subtleties of racism, and honor one another's unique contributions to church and society." "Duane Elmer asked people around the world how they felt about Western missionaries. The response? "Missionaries could be more effective if they did not think they were better than us." The last thing we want to do in cross-cultural ministry is to offend people in other cultures. Unfortunately, all too often and even though we don't mean it, our actions communicate superiority, paternalism, imperialism and arrogance. Our best intentions become unintentional insults. How can we minister in ways that are received as true Christlike service? 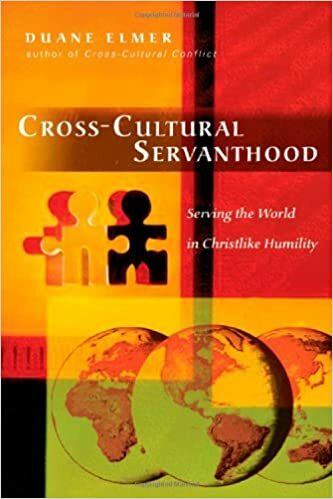 Cross-cultural specialist Duane Elmer gives Christians practical advice for serving other cultures with sensitivity and humility." "What is the state of racial reconciliation in evangelical churches today? Are we truly united? 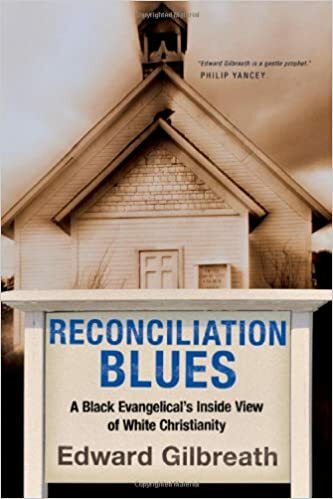 In Reconciliation Blues journalist Edward Gilbreath gives an insightful, honest picture of both the history and the present state of racial reconciliation in evangelical churches. In his thoughtful overview he looks at a wide range of figures, such as Howard O. Jones, Tom Skinner, Dr. Martin Luther King Jr., Jesse Jackson and John Perkins. 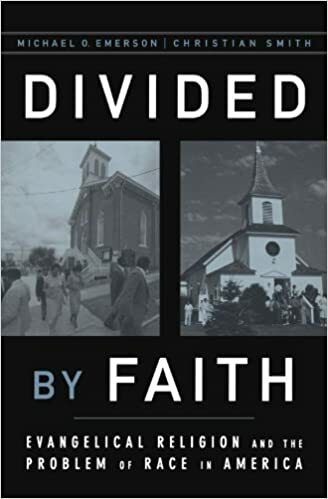 Charting progress as well as setbacks, his words offer encouragement for black evangelicals feeling alone, clarity for white evangelicals who want to understand more deeply, and fresh vision for all who want to move forward toward Christ's prayer "that all of them may be one."" "Increasingly, leaders recognize the benefit of multi-ethnic organizations and are compelled to hire diverse individuals who will help them reflect a new America. 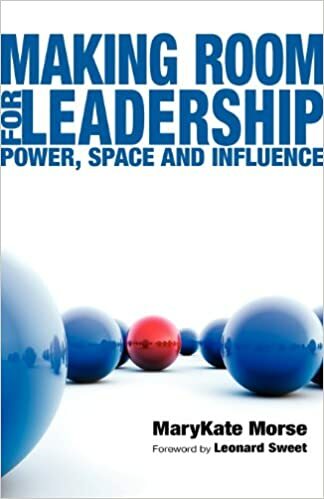 [Loritts] brings a challenge to leaders in this fable of self-discovery and change, as he explores the central, critical problem leaders often encounter when transitioning their church, business, or organization to reflect a multi-ethnic reality: finding a leader who is willing to immerse themselves in the environments and lives of people who are different from them." "You don't just lead with your voice and your decisions. You lead with your body. The way you take up space in a room, the way you use or don't use your body in group settings, influences others. And all of us hold power to lead in our bodies. Yet, pastor and spiritual director MaryKate Morse contends, most of us are unaware of the ways we do or can use our bodies to influence others. Some of us cower in the corner, trying to hide. Others try to speak but are never heard. Still others are the focal point as soon as they walk in a room. What makes the difference? And how can we learn to lead in our own individual way with confidence?" "In a diverse, divided world, pastors and church leaders are faced with the question of how to lead across ethnic lines to bring healing and unity to the body of Christ. How can the church more accurately reflect the vision of God's kingdom, gathering together every tribe and nation? It all begins with leaders whose minds and hearts have been transformed by the gospel. Author Alvin Sanders believes the church is facing a chairos moment—the right time—to address the issue of ethnic division and tension within the church. 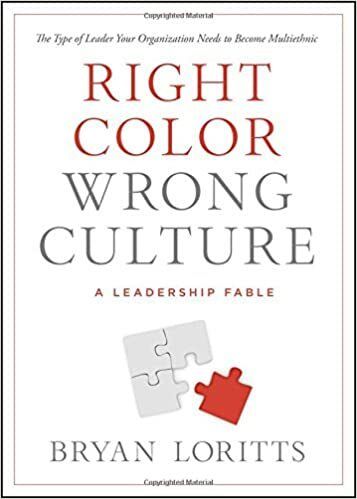 Through this book, he offers a how-to resource for Christian leaders to lead their organizations in a majority-minority, multi-ethnic America." "On the Last Day every tongue and tribe will be represented in the glorious chorus praising God with one voice. Yet today our churches remain segregated. Can we reflect the beauty of the last day this day? 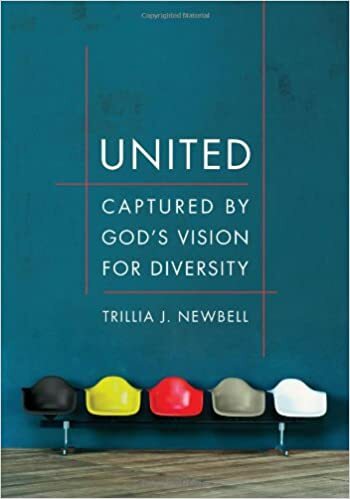 United will inspire, challenge, and encourage readers to pursue the joys of diversity through stories of the author's own journey and a theology of diversity lived out. It’s time to capture a glimpse of God’s magnificent creativity. In the pages of United, Trillia Newbell reveals the deeply moving, transforming power of knowing—really knowing—someone who is equal yet unique. As we learn to identify in Christ rather than in our commonalities, we begin to experience the depth and power of gospel unity." 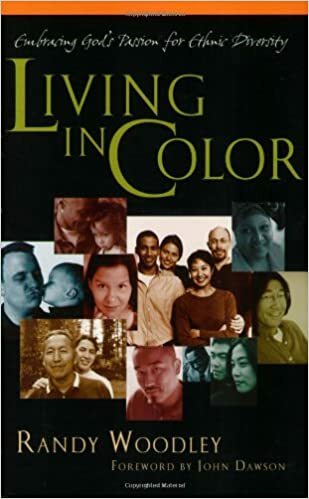 This is a classic resource for Christians from different cultural backgrounds that are seeking to understand one another. Breaking Down Walls suggest several principles on how we can be reconciled with one another for God's glory. This was one of the first books that I ever read on this subject. "[This book] highlights the historic patterns that have created racial discrepancies within missions. 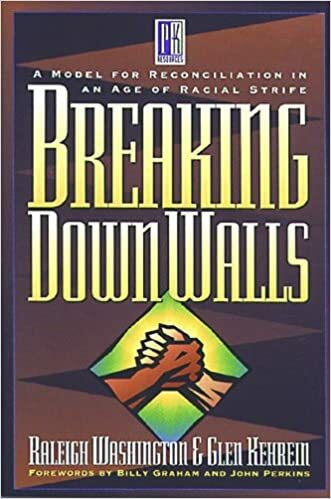 With a no-blame attitude, powerful personal narratives from a dozen other black, Hispanic, Asian, Native American and white Christians, interactive histories of missions, and the writings of MLK and Howard Thurman (the entire "Letter From Birmingham Jail" and Howard Thurman's motivational speech "Sound of the Genuine"), Barber addresses this tough issue in a way that will inspire and motivate readers of all races toward change." I hope you find these books helpful for you in your own journey toward multi-ethnic community and I'd love to hear from you any suggestions about other books you have found beneficial as well. "God opened my eyes to the values I’d grown up with, Latino values, scrawled all over His Word after a conversation about the beautiful differences among cultures. I realized, because Christian Latinos didn’t teach me about Christ, I learned a lot about how majority American culture reflects Christ, and nothing of my own. But we, Hispanics, were His brainchild too. Each of us and each of our cultures, reflects Him in specific, amazing ways. In learning more about our ethnic identity, we learn more about ourselves and more about the great God who created us in His image." "Until more recently, parents did not concern themselves with cultivating their child’s happiness and self-esteem. Weissbourd address this dramatic cultural shift in The Parents We Mean To Be. He writes, “It’s important to pause and consider how unique this belief is—that many parents are conveying that happiness or self-esteem leads to morality appears to be unprecedented in American history and may be unprecedented in the history of humankind.” He also points out that “many vital moral qualities… do not spring from happiness or self-esteem.” These “missed values” include fairness, justice, and caring for others. In Huck’s Raft, Mintz makes a similar point. Although historically, children’s contributions to the family provided a type of service beyond self, “young people today have fewer socially valued ways to contribute to their family’s well-being or to participate in community life,” he writes." "Although the failure to stop an unethical practice is often attributed to character problems such as greed, sexism or the relentless pursuit of self-interest, our explanation is subtler. According to our studies, ethical failures like these can also stem from a psychological factor endemic to very successful teams: identification with the group or organization. Identification is a feeling of oneness with the group. When you identify highly with a group or organization, you define yourself in terms of your membership in it. When asked, “Who are you?” your answer will reflect a category (e.g., you might refer to yourself as a man, a Texan, a Yankees fan, an environmentalist, a Christian). You focus on the traits that you and other group members share, rather than on personal traits that distinguish you. We found that holding higher rank increases identification. People in high-ranking positions feel more connected to their group or organization and value their membership in it to a greater degree than do lower-ranking people. This trend has benefits for the group, as strong identifiers cooperate more readily and contribute more to the group’s goals. But stronger identification has an ethical cost: It makes it more difficult to perceive ethical problems within the group." "The emergence of Walton as one of the elite players in college basketball can be linked to another success story for Harden, who for three decades has served as a mentor, confidant and advisor for all of the boldfaced names in the Wolverine athletic department. He came to Michigan in 1986 at the request of Bo Schembechler, who valued Harden’s background in social work to address alcohol and drug problems. Since then, Harden has worked with everyone from Desmond Howard to Tom Brady to a volunteer assistant swim coach named Michael Phelps. Harden’s hair is far more salt than pepper, and in his 31 years at Michigan the 67-year old has shared blunt advice and deep bass laughter with everyone from Glen Rice to Mike Hart to Tim Hardaway Jr. “I wouldn’t be the person I am today without having Greg Harden in my life to help me with development,” said Warde Manuel, Michigan’s athletic director who arrived on campus with Harden in 1986. “There’s hundreds and hundreds and hundreds of student athletes—both men and women—who feel that way.”"
Here are some helpful insights about how a recent viral video uncovered racial stereotypes that often go undetected. "But the evolution of whiteness is so much more complex. It was invented; not inherited. Some race scholars say it was created around the 17th century as a legal term to confer certain protections and privileges on Americans of European descent. It was also used to reinforce the notion of a superior white race -- and to justify slavery. Dow gives some of this historical context in the "Whiteness Project" in between interviews with his subjects. But I think the most fascinating part of his project is seeing white people grapple with their racial identity. Some people denied their whiteness. Others were apologetic. One young white man said "I'm not happy that I'm white," citing the historic oppression associated with his people. Another guy wondered why black people still get hung up on "the slave thing."" Geno Auriemma, the women's basketball coach at the University of Connecticut, offers a challenging perspective on his values when it comes to his players. Even though Coach Auriemma has been highly successful on the court, there are other qualities beyond winning and losing that he wants to see from his teams. "When we walk into a room, the visuals and viscerals of our presence are quickly calculated by the members of the group as they figure the amount of influence they will give us. The process of addition and subtraction are continually active. We all do this in social settings. We make snap decisions about whether newcomers are safe and can be trusted with who we are and what we're about. These decisions have sticking power; once they're made, they're hard to change. Each of us is given a measure of power. There is a steady exchange of power potential negotiated within groups. Like dance partners, we move in social space exchanging meaning in a quiet rhythm of relational cues and discernment. Some people are given more power and some less, but everyone is involved. Power doesn't belong to any one person -- it belongs to the group that constitutes it. 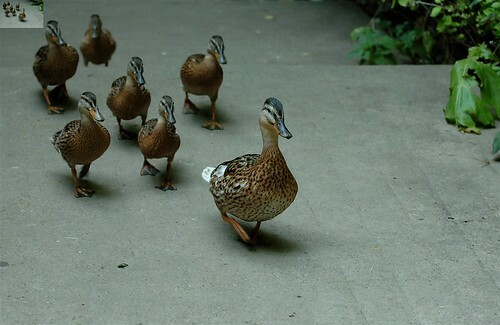 The exception is when force is used to make the group follow the will of the leader. So the use of power is not just a moral issue...it's also a stewardship issue. God called us to steward the resources of his creation, and I suggest that power is one of those resources. The acquisition, management, consumption and distribution of resources are economic issues. So also are the acquisition, management, use and distribution of power for equipping people to do the work of God's kingdom. Anyone who has an interest can learn to understand the economics of the forestry industry or small business. But how can we understand and manage the economics of power? Even though we value servant leadership, which has a lot to do with the use of power, we usually aren't mindful of the stewardship of power. We tend to equate servant leadership with spiritual, internal character qualities manifested in a leader's public behaviors. However, authentic servant leadership involves stewardship of power, power used thoughtfully for God's purposes as an exchange with a group. It is a kind of bean-counting that acknowledges gestures, invitations and "time attended to" all add up and matter. What a leader brings into a social space plus what happens between people in that space results in influence. Everything about the leader, from the first hello to the final decision, is a reflection of his or her stewardship of power - either for service of for personal gain." "By the way, churches will not always tell the pastor the specific reason for the firing. But, once we begin to infuriate our church members with our posts, many will find a myriad of reasons to give us the boot. I recently recommended a pastor to another church. I think very highly of him. Indeed, the search committee chairman seemed genuinely enthused when I recommended him. He contacted me a couple of weeks later with this comment: “We can’t consider him. He’s just too snarky and sarcastic on social media.” Of course, this pastor was not fired. But he never had a chance to be considered by another church." "As he spent time there with African American people, working alongside them in their struggles, he was able to see a new Jesus, a Jesus not entombed by German nationalism, and, he went back to Germany a different man. He resisted the sinister forces of the Deutschen Christen movement who had amalgamated their Christianity with the German nationalist Aryan agenda of Hitler. Bonhoeffer became a singular force in resisting the powers of evil and injustice of the Nazism infested culture. Anytime I read about Bonhoeffer’s life I am immensely challenged. 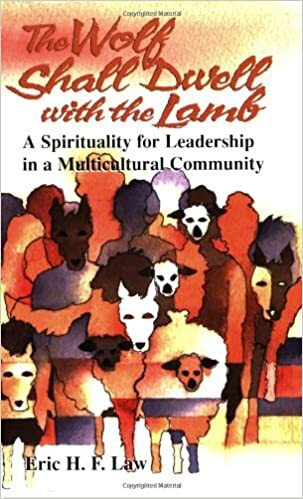 But this book, gives us insight into how to decontextualize ourselves from our own culture-bound Christianity, being with people of another culture (even those within our own country), and how that becomes the means of transforming our own church. This singular truth is why I am so committed to the study of contextual theology." "On Tuesdays, the group arranges a few desks in an unlocked classroom in a circle, sits down, and talks. It can get tense, but no one yells, no one storms out, and everyone has a chance to explain why they feel the way they do. Afterward, they sometimes go for drinks and late-night snacks at the Applebee’s nearby [the Central Michigan University campus]. 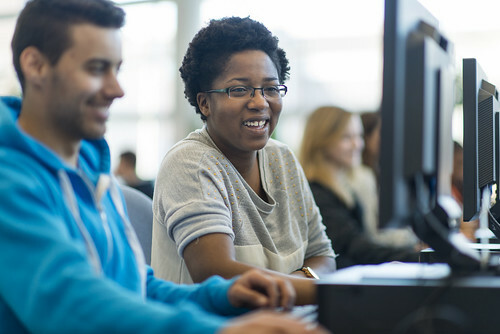 The society is one example of how, at a time when Washington and much of the rest of the country is gripped by political polarization that can make substantive conversations about policy differences difficult, college students on politically divided campuses, who are part of a generation many older Americans expect to be apathetic, have found a way to have those conversations in a productive way." "I’m confident you love the people you lead, but that doesn’t mean you show it and they know it. You may show you love them, but not in a way they receive it. The pace of ministry leadership is often fast. That reality combined with the pressure to get things done can squeeze out the foundation of all good relationships, which is love. And for leaders, loving means giving more than you take. If you are not careful, the pressure to produce will cause you to take more than you give. When you are yourself, and give more than you take, people will trust you. If they trust you, they will follow you. I can almost guarantee that the individual who doesn’t like you, doesn’t feel loved by you. And if that is the case, they will never let you lead them." "For instance, she [Angela Duckworth] conducted a study that found "grittier" kids — those who studied more and competed in more spelling bees — were more likely to perform well in the Scripps National Spelling Bee. To be sure, verbal intelligence also mattered, but verbally talented spellers didn't necessarily study or practice more. Similarly, Duckworth found that West Point cadets who scored higher on the grit scale were more likely to stick it out through "Beast Barracks," an intensive seven-week training program. (The grit scale includes items like "I don't give up easily" and "I have overcome setbacks to conquer an important challenge.") Grit was a better predictor of who would stay through Beast than things like athletic ability or SAT scores. As Duckworth writes: "Our potential is one thing. What we do with it is quite another." Here's a nice profile on my favorite musical artist -- Steven Curtis Chapman -- and the story behind his new book, Between Heaven and the Real World. "Campus Outreach was started by the predominately white Briarwood Presbyterian Church on the campus of Samford University, a Baptist affiliate that resisted integration until the American Bar Association pressured Samford’s Cumberland School of Law to admit the university’s first black student in 1967. The rest of the university followed; however, in a city nearly three-quarters African American, the school is still more than 80 percent white. So it’s no wonder that in the beginning, Campus Outreach ministered primarily to white students. But within the last decade, the ministry has undergone a remarkable change. The Campus Outreach franchise in the Dallas/Fort Worth area is about half black. So is ministry at the University of Memphis. And across the 87 American campuses, the share of black students has reached 13 percent, which matches the overall percentage of black students at schools where Campus Outreach is working. Moving to a multiethnic Campus Outreach hasn’t been an easy process; to those working at Campus Outreach, it also seems frustratingly slow. But what they’re doing—shifting gears mentally to steward students of every shade—is proving enormously effective." Here's a piece explaining why NBC's new hit show, This is Us, has connected on an emotional level with so many viewers. This is simply too funny not to share. I'm sure anyone with young children that attempts to work from home can relate. In his popular 1998 book dealing with organizational and personal change, Spencer Johnson famously asked, "Who Moved My Cheese?" Johnson helps the reader address the anxieties often associated with change and emphasizes the role that our attitude can play in positively managing change. But what happens when you feel like someone has not just moved your cheese...but taken it altogether? In many ways I am experiencing a profound season of change. I'm personally going through changes. Now in my mid-forties, I'm not as "spry" as I used to be. The aches and pains from enjoying a game or two of pickup basketball don't go away as quickly as they once did. A Saturday afternoon of yard work often means a Saturday evening of ice packs and heating pads. The gray hairs seem to multiple by the week. Simply put, I'm getting older. Our family is going through changes. Of course, there are the expected adjustments that come with a growing family. Our family of six now includes three teenagers -- and all the hormones and calendar activities that go along with that stage of life. My kids don't find my "dad humor" as funny as they once did. The only child that will still hold my hand in a parking lot is our nine-year-old son. Simply put, my kids are growing up. Our church is going through changes. A church plant of which we've been a part since its beginning eleven years ago, we're experiencing the normal challenges that a growing church goes through. People leave the church. 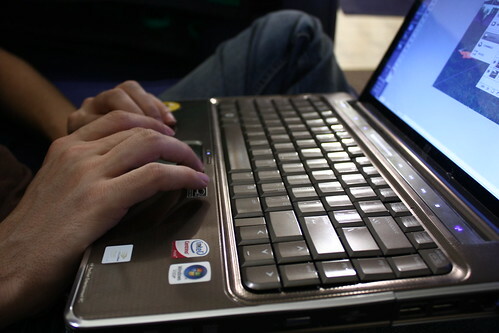 Key members receive job transfers to far away places. Staff members transition. New opportunities are given attention. Simply put, our church is maturing. Our ministry is going through changes. After 25 years of one structure, the department in which I provide leadership -- Cru Campus -- is changing how we're organized. Though our mission and calling is not changing, how our leadership structure is set up is undergoing a massive overhaul. Jobs that once existed will no longer be there. Some teams will change. Some people will have to move. Our ministry is positioning ourselves to better reach the students and faculty of the world with the good news of Jesus. Simply put, our ministry is adapting to a changing world. If I'm honest with myself, I realize that I am a creature of habit. My morning routine of getting ready for each day is consistent. My daily driving route to the office doesn't vary. I like to eat dinner at the same time each day. I follow football in the fall, basketball in the winter and baseball in the summer. Simply put, I like things the way I like them. Now, many of the things I like are changing...and I have very little control over it. Part of my processing of these changes is acknowledging that I haven't chosen to go through much of it. There are emotions I need to experience in order to positively deal with the change. It's a healthy thing for us to allow for the full range of emotions when dealing with unexpected or unwanted change. Not only are things like grief, mourning and lament good for the soul, but they are quite biblical (Ecclesiastes 3:1-14, Matthew 5:4, II Corinthians 1:3-4, I Peter 2:19). As true as these things are, it's also important to realize that we have control over our response to change. In other words, we have jurisdiction over our attitude. In confronting reality, we tell ourselves: "This happened (or is happening). I don't like it. What do I do now?" Another way of saying it is that how we respond to change might very well influence how we experience the change we're facing. Whether I'm responsible for the change or whether I feel like the change is happening to me, I'm responsible for my attitude. It's helpful for me to remember that. An important season in the Christian calender is upon us but many of us might not realize it. You've probably heard of the terms Lent and Mardi Gras but may not be familiar with their origins or what they truly mean. Lent is a forty day season of focused prayer, repentance and fasting that takes place each year before Easter, the Sunday that commemorates the resurrection of Jesus Christ. These forty days represent the time that Jesus spent in the wilderness immediately preceding the start of His public ministry. Christians around the world have celebrated this season for a number of centuries and many continue to do so to this day. The day before Ash Wednesday is known as Fat Tuesday or "Shrove" Tuesday (or in the French language, Mardi Gras). Carnivale (which means "away with meat") is an extended festival before Lent that is commonly found in Roman Catholic societies. These are times of celebration and feasting before the entrance into the fasting period. For 2017, the Lenten season began this week with Fat Tuesday taking place on February 28th and Ash Wednesday falling the following day, March 1st. Palm Sunday is April 9th and Easter Sunday falls on April 16th. For those of us that are Protestant Christians, the observance of Ash Wednesday and Lent is usually dismissed since many regard those as Catholic holy days. But I think that all Christians can appropriately recognize this season. 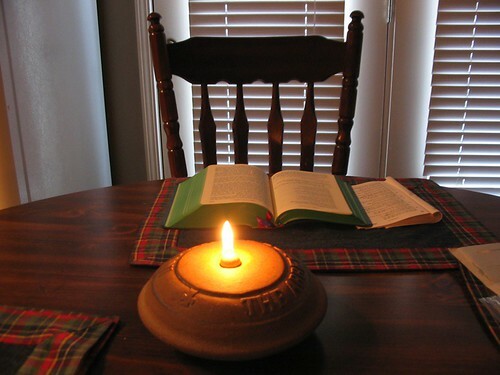 For a number of years, I have participated in the Lenten season and have found it beneficial. It can be a time of dedicated Bible study, prayer, some sort of fasting and repentance and can be great preparation in leading up to the remembrance of the most significant event in world history, the resurrection of Jesus of Nazareth. Whatever you might choose to do or not do during this season, I trust that your focus will be on the One who loved us and gave Himself for us. Entering into a time of self-denial and focus on Jesus can help in leading us to a place of maturity where we are more committed to Him throughout the year, whether it is a designated holiday or not. May God bless you richly as we anticipate the celebration of His victory over sin and death.